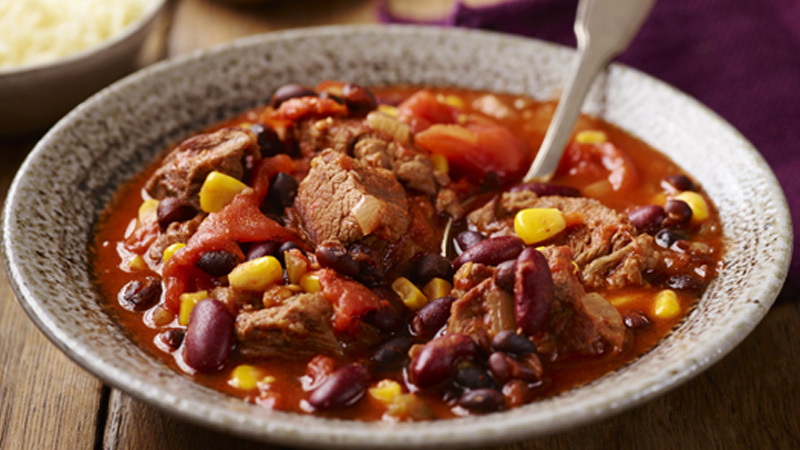 Slow cooked until meltingly tender this chunky beef and bean chilli is packed with flavour! Heat half the oil in a large non-stick frying pan over a medium heat. Fry the onion for 5 minutes until softened then transfer to a slow cooker pot. Heat the rest of the oil in the pan and fry the beef, in two batches, over a high heat until browned all over. 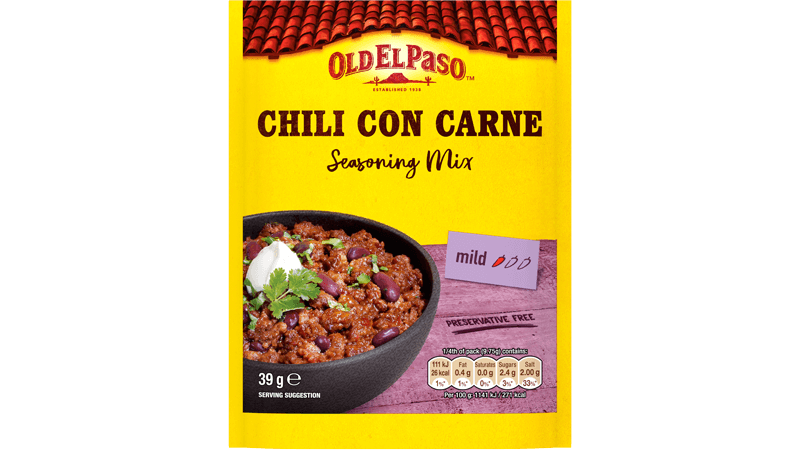 Stir in the chilli seasoning mix and cook for a further minute then add the beef to the slow cooker pot. Stir the tomatoes, beans and water into the pot. Season to taste with salt and freshly ground black pepper. Put the lid on the slow cooker pot and cook on low setting for 6-8 hours until the beef is very tender. Add the sweetcorn and jalapeño chillis to the pot after 4 hours cooking time and stir well. Serve in warmed bowls topped with grated Cheddar and chopped coriander. 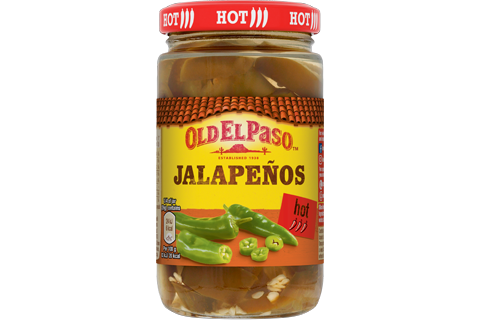 Double the quantity of jalapeño chillis for an extra fiery flavour. Serve with boiled long grain rice, warmed tortillas or crusty bread for a really substantial supper.